Today, we will be introducing our very own Ayurvedic line. we came up with this series especially for spa owners who wants to make their own product line. This week’s ayurvedic recipes will have the following products: Fresh Basil & Tea Leaf Body Cleanser, Sandalwood and Sage Bentonite Herbal Mask and Frankincense and Rose Hip Body Exfoliator. Lets start with the body cleanser today. 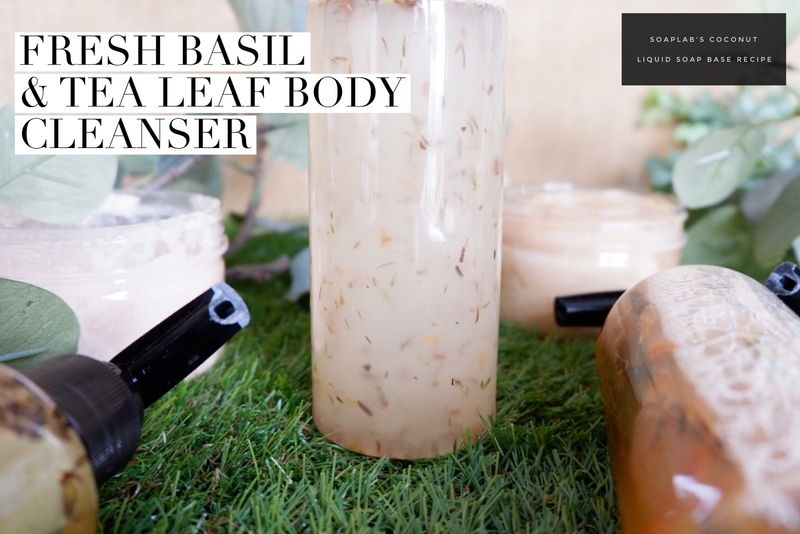 For the body cleanser, you will need a coconut liquid soap base, fresh basil fragrance oil and dried tea leaves. The coconut liquid serves both as a moisturiser and cleanser. The ancient indian believes that it also have anti-inflammatory properties which will soothe itchy and red skin. The next ingredient is the dried tea leaves which removes impurities from the skin while toning it, and finally the fresh basil fragrance oil gives it a fresh aroma. hope you like this recipe. stay tuned for tommorrow’s recipe that will show you how to make the sandalwood and sage bentonite herbal mask.